Whether your garage door breaks or it is no longer functioning, many lose more than just a door. The functionality and convenience of your garage door plays a big part in your daily life. Whether your garage door is the main entrance to your home, where you store your belongings, or a safe place to protect your vehicles, you need a professional garage door technician to get your garage door back in working order. Since 2013, Picture Perfect Handyman has been providing superior garage door services with excellent results. From control panels, garage door remotes, door balance, springs, cables, bearings, and much more, Picture Perfect Handyman will work quickly and efficiently to provide you with the best garage door services. As a trusted provider of garage door services, we work with an array of garage door brands and manufacturers for your garage door and garage door opener. 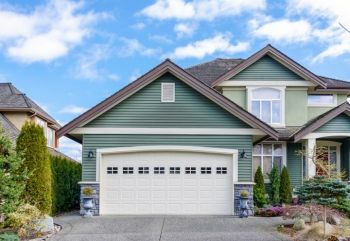 What's more, once Picture Perfect Handyman is done installing your new, beautiful garage door, we provide a full maintenance inspection to ensure guaranteed satisfaction and functioning. Call (661) 457-5991 today to schedule your garage door installation. Are the springs or cables causing a problem in the functionality of your garage door? Is the door balance off, so it is not going up and down properly? Does the control panel for your garage door need servicing? Picture Perfect Handyman has over 6 years of experience to properly repair and service your garage door to get it back in working order in a timely manner. When you are looking for professional garage door services, Picture Perfect Handyman’s knowledgeable technicians offer the best value to every customer, and have the parts to get the job done right the first time. Over the past 6 years, Picture Perfect Handyman has earned its reputation for quality garage door services. We stand behind our service and are dedicated to meeting each customer’s expectations. Call us today at (661) 457-5991.